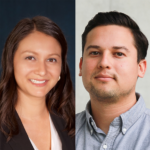 Jeanelle and Fernando are doctoral students in the Department of Literature at UC San Diego. They share their experience with certificate programs below. They embarked on the SPARK and MicroMBA certification programs at UC San Diego’s Rady School of Management, which are geared towards PhD students and postdocs. Both programs have beneficial and problematic elements. Jeanelle writes about SPARK. Fernando writes about MicroMBA. These are some of the worried questions I get when I share with my peers that I’ve decided to sign up for another professional development certificate program. In the midst of qualifying exams and dissertation writing, piling something else onto an already busy schedule seems like a bad idea. However, I still choose to take them on. Why? Well, I’ve always been interested in enhancing my personal growth and professional skills. Although I know I am receiving excellent research and teacher training in my program, I know there’s much more out there for me to learn. For me, getting involved in these certificate programs gives me the opportunity to apply what I already know, build on the skills I don’t always get to use, and learn something out of my comfort zone. Also, to be completely honest, what I gain from these programs is ultimately helping me to be a more competitive candidate in and out of academia. With a bleak job market on the horizon—especially in academia—I want to be prepared for anything. So when I saw the call for applications the Rady School of Management’s SPARK program, I jumped at the opportunity. The SPARK program is described as an immersive, fast-paced program that offers you the confidence, knowledge, and competencies needed to become an entrepreneurial innovator. The primary goal of the program is to help participants discover, validate, and launch technology-driven venture ideas that fulfill a compelling market need and contribute to social and economic value. I consider myself to be somewhat of an entrepreneur at heart: Whenever I can, I make opportunities for myself with freelance gigs and side hustles—like my dad always says, “trying to make a dollar out of fifteen cents.” I imagined all of the amazing ways SPARK could help me in my personal journey toward various career paths that I may not have thought possible, especially as an entrepreneur. After reading these two learning objectives, a feeling of shame came over me. I felt out of place. What was a humanist like me doing in a room full of scientists and engineers? I didn’t belong here. I surveyed the room hoping to find a friendly face—someone familiar—but everyone was a stranger. At that moment, I considered simply getting up, gathering my things, and leaving. But I didn’t. I decided that even though this program was clearly targeting STEM students, the two objectives on the board were not just for them. Despite being marginalized and literally erased from the language of entrepreneurship (at least for the SPARK program), I knew that humanists could write themselves into this field. Sadly, this was not the first time I felt like—and usually am—the only humanist in the room. I suppose during those moments I feel a bit defensive, as if I need to be that ONE person who can represent humanists. I feel as though I need to be an advocate and prove that what I do and what I bring to the table is just as valuable. This is a major critique I have of many of the professional development programs that exist at UC San Diego. On a very STEM-centered campus, it often feels like the humanists, social scientists, visual artists, etc. are missing from the conversation, at least in terms of how our work contributes to a project. On the other hand, these programs provide an opportunity for collaboration across disciplines and that is what makes a project or idea even better, which is why certificate programs should be inclusive for ALL fields. After my first day, I did contact the organizer and voice my concerns about what felt like an unwelcoming environment for humanists. Since we were going to be working on group projects for the duration of this program, I was a bit worried that I would be seen as inferior for not having the same technical or scientific expertise as the majority of my peers. As a result, during the next class an announcement was made that SPARK was appropriate for all disciplines—not just STEM fields. Although I was happy this was addressed, I felt a bit annoyed that I had to yet again explain how humanists are often marginalized in these types of programs. Overall, my experience with the SPARK program began a bit shaky but ended very positively. My group was wonderful and valued my opinions. Even though I did not always understand some of the technical terminology, they were always gracious in explaining. In turn, I gave my perspective on various aspects of our project, especially when it came to customer experience and understanding the human purpose of our product. A couple of my group members even invited me to check out their labs and expressed interest in reading some of my work. In my opinion, the connections in these programs are worth it. Although being in SPARK took some extra time and money, I was happy to be the only humanist in the room working alongside my peers to develop something new and innovative. Ultimately, SPARK taught me the essentials and—more important—gave me the confidence to call myself an entrepreneur and not just an academic. The MicroMBA is a summer-long course at UC San Diego Rady School of Management. This certificate program is meant to teach graduate students and postdocs about fundamental business concepts. Those concepts include strategy, corporate finances, financial decision analysis, marketing, and innovation. Perhaps one of the most important elements of the MicroMBA is the networking opportunities. Throughout the program, different professionals held hour-long coffee chats with MicroMBA participants. Networkers include STEM professionals from companies such as Illumina, Navaron, NanoCollect Biomedical, FronThera US Pharmaceuticals, Nanocomposix, ABBIOTEC, and ZZbiotech, among others, as well as humanities and social science professionals from Apple and Enflux. Students then sign up for whoever they’re interested in speaking to, and purpose of these chats is for students and professionals to have intimate and informal conversations. These coffee chats are a large focal point of the program—networking. Because of this, coffee chats tend to fill up fast. Each week, a different presenter teaches the class a different topic, and presentation materials —including PowerPoint slides and other short case studies—are uploaded to a shared Google drive. There is no additional reading material, though the program recommends students read Steven Silbiger’s The Ten Day MBA, and presenters would often recommend further readings on their respective topics. My intentions for joining this certificate program were out of curiosity. Curiosity about the value of a certificate—I’ve never taken a certificate course before—and, in particular, on the value of an MBA. This certificate program provided students with various presenters that discussed their specialization in a short period of time, and it allowed me to take classes outside of my department/field/scope. Once lectures were underway, it seemed more like brief talks about what each presenter specializes in. Saying these lectures were introductions to the given topics would be an overstatement—if anything, the lecture served as platforms for more learning (understandable during a 10-week crash course, but not what I expected). And while the coffee chats seemed like great opportunities, for conducting informational interviews and identifying possible jobs, most of the professionals in attendance were from STEM related fields. I should say that one could make the case—though it would be a stretch—that one or two networkers were tied to the humanities. Unfortunately, the other humanities PhDs and I (there were so few of us that we all knew each other) were not able to make the two meetings even remotely related to our field. This, of course, is not surprising at UC San Diego, a university centered on STEM research and funding. For UC San Diego and Rady, there’s still a lot of work to be done to include humanities and social science students. I don’t see this type of change happening quickly, or even at all: I see it as a more of overarching problem within the university, which trickles down to smaller divisions like Rady. It’s difficult to say if programs like the MicroMBA should cater to humanities and social sciences students. At a university like ours, STEM fields are well funded. Rady—a newer installment to our university—is also well funded, but far from establishing itself as a top business school. I often found myself what the purpose of these certificate programs are. Easy marketing avenues for Rady itself? A way to slowly establish its presence in a city where tech and pharmaceuticals are dominating its landscape? An opportunity to put students through its doors without any need to serve them beyond a short-term program? Does Rady need to innovate for an underserved population in the community it belongs to? They don’t. Should they? They should. I say this because of the rise in interest for non-academic jobs and business skills. Yet again, these issues remain problematic within our own departments. The questions becomes: How can we address bigger, structural issues, in places like the university or programs like Rady, when our local communities are not fit to address its own smaller structural issues? The upside to this program is that it exposes students to other fields outside of their own, even for just a short time. It allows students to think about the impact that their work might have on industries in business, non-profit, tech, etc. sectors. If anything, this program serves as a place to contemplate what our skills are and how they might connect to other professions. This summer-long MicroMBA program is a place to learn introductory lessons on business. As for the coffee chats—I can’t say from experience since I was not able to make the one or two meetings that even remotely connected to the humanities. But they seemed helpful to the many STEM majors in the program. Microdegrees have become popular with the rise of online education. Universities like Georgetown, Columbia, and Harvard offer these types of degrees, often in continuing education or extension programs. For example, Columbia offers a similar degree to the MicroMBA at UC San Diego. But the difference is that Columbia’s MicroMBA also provides credit for an online/in-person MBA. The MicroMBA at UC San Diego was a very brief introduction to the concepts; additionally, as I write this, the program doesn’t offer any ways of earning additional credentials, and the coffee chats primarily benefit those who major in STEM. The program does encourage you, particularly as a sample buffet of what an MBA could be. We move from micro-degrees to teaching at a community college while enrolled in doctoral programs in our next blog post. Stay tuned!